I’m currently on vacation in Ocean View, Delaware. I thought I’d try to find a labyrinth or two around here. 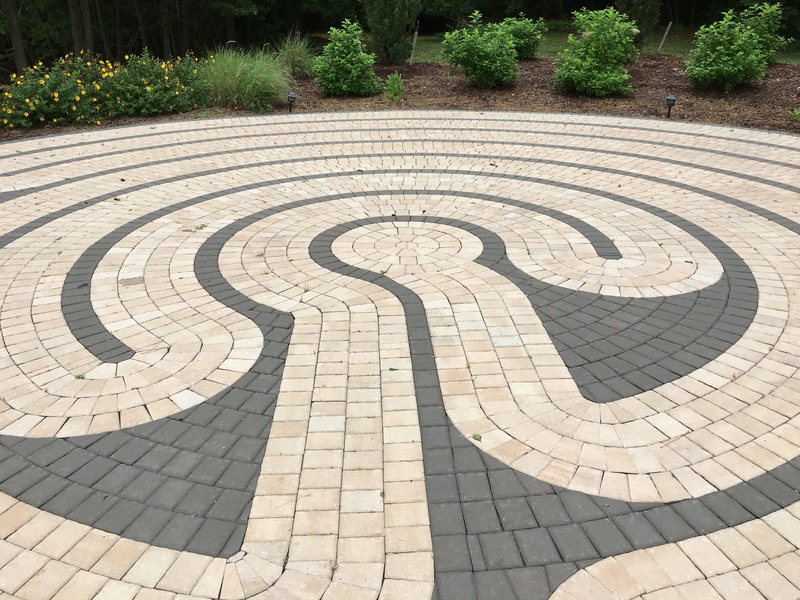 Today I walked the labyrinth at Community United Methodist Church across the state line in Ocean Pines, Maryland. It’s a really nice one. 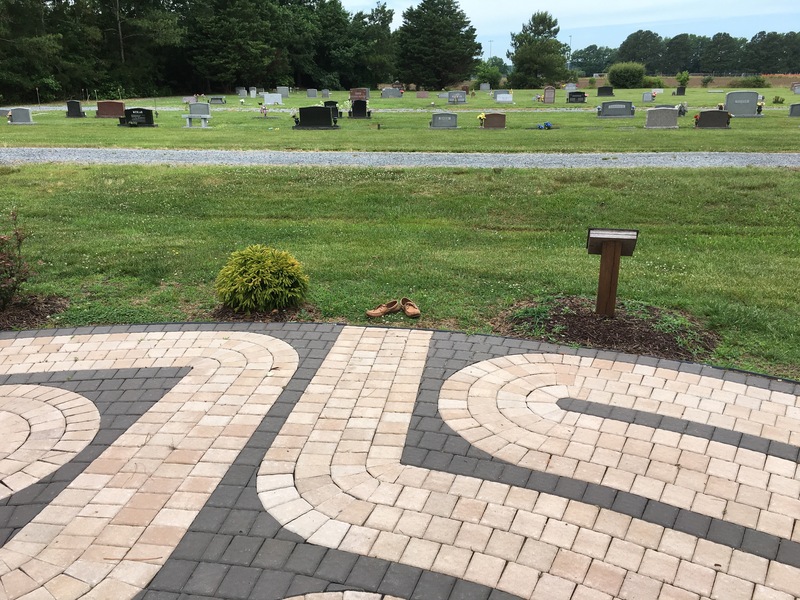 It’s a typical 7-circuit classical design, professionally installed with two colors of pavers. The grounds surrounding it are also beautiful. Adjacent to the labyrinth is a cemetery, as well as a frog pond, and some woods. It was a perfect day, overcast and 75 degrees. I decided to take my shoes off for this walk. As I walked around, I looked at the richness of the grounds around me, and I saw the richness of the colors in the pavers beneath me. And it struck me that that is precisely what I’m missing — the richness of life. I felt connected and happy, and thought I heard a voice telling me to look for this richness wherever I am, whatever I’m doing. Not to keep looking for meaning, because that way lies confusion and disappointment. It’s so hard to pick out what the meaning of something is, but richness is different. Richness is just there — you don’t have to figure it out, you don’t have to interpret it. Perhaps what I mean is something like beauty. It’s ineffable, but truly there. So now that’s what I’ll try to do — look for richness. Next ›Pinewood Men Double Feature!